Pizza Hut – 50% discount on Continente Card. Get 50% on Mainland Card to buy a Pizza Cheesy Bites Pepperoni (vegetable and pepperoni mix). Campaign Exclusive and not cumulative with others in force. Valid conditions for the Pizza Cheesy Bites Pepperoni with the mixed ingredients of vegetables and pepperoni available at Pizza Hut with table service. In the amount of € 25.50 with a 50% discount on Tarjeta Continente. By means of a valid voucher presentation extracted from the "Promotions" platform located on the Madeira Shopping Mall website. Offer valid when accompanied by Continent Card. 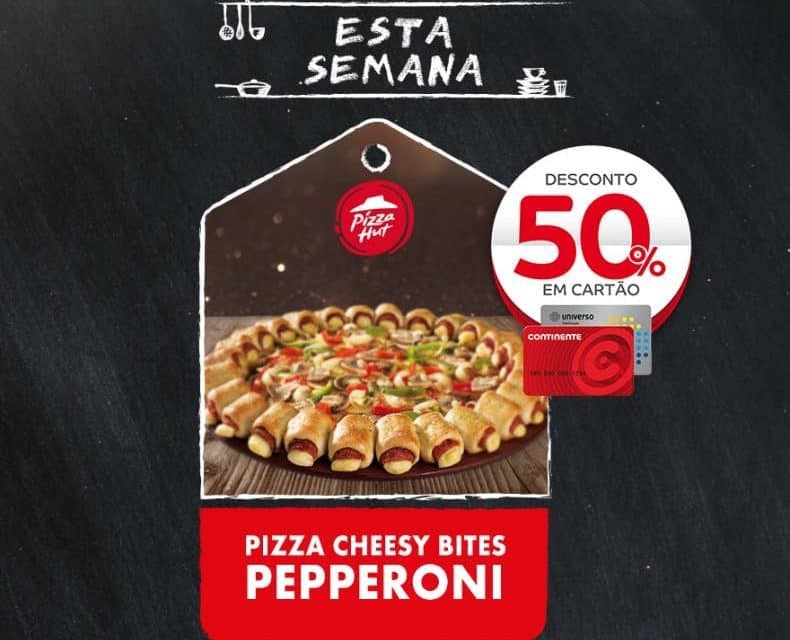 Home / Pizza Hut – 50% discount on Continente Card.